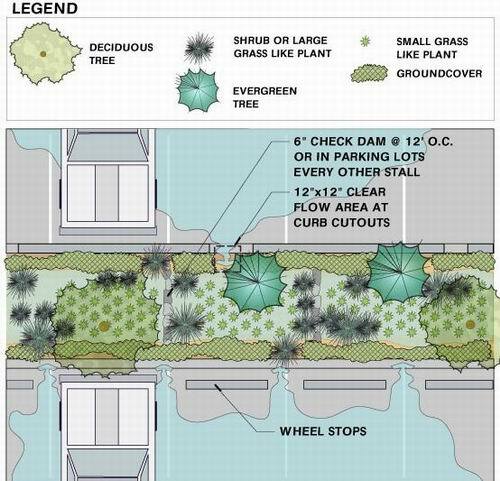 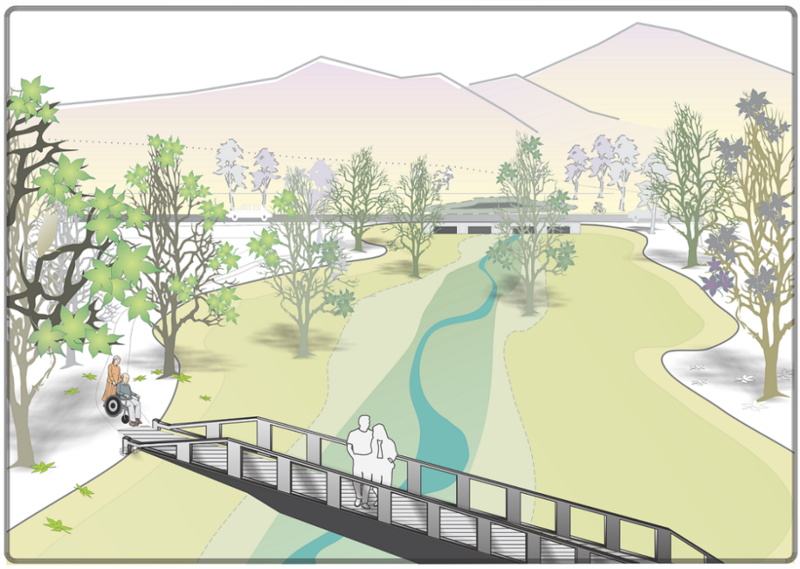 This innovative stormwater facility provides practical engineering solutions and valuable, visually attractive open space amenity to the urban environment. 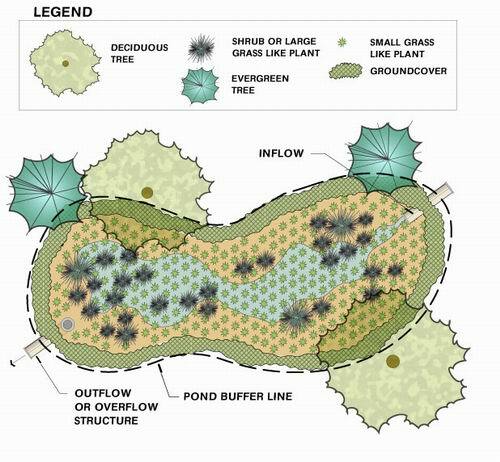 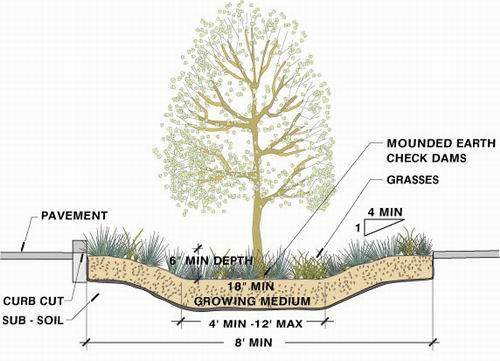 This plan view of a stormwater detention feature indicates how a practical function can have an attractive form. 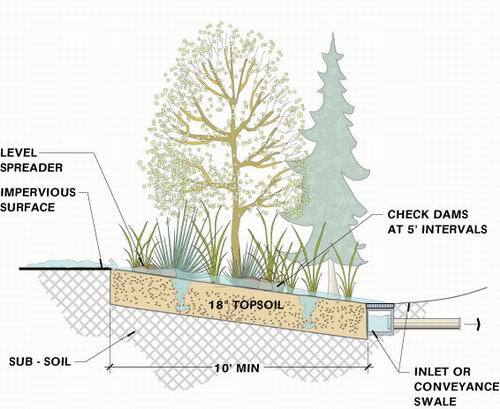 This section view of a landscaped filter strip indicates important details of width, depth, and pipe conveyance.